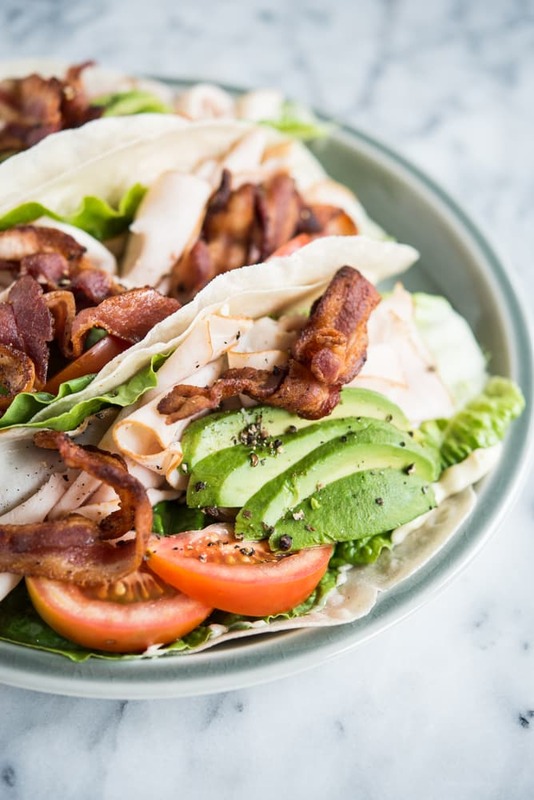 These easy turkey avocado wraps are the perfect option for a grain and gluten-free lunch! 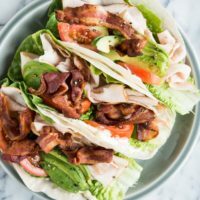 Filled with turkey, fresh butter lettuce, tomatoes, creamy avocado, and crisp bacon, you'll want to make these wraps again and again. 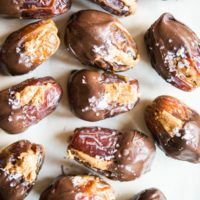 I'm not sure why, but when I first made the switch to a more Paleo-style way of eating lunch was the HARDEST thing for me to wrap my head around. I was happy to replace my morning cereal with a tasty breakfast casserole that I'd meal prepped in advance. Making a dinner that consisted of a protein, veggie, and healthy starch was a no-brainer. Not being able to pack a lunch or dash out to Chick-fil-A to pick something up though? THAT was a struggle. I started bringing salads to work, only to dread eating them for lunch and prepping them in the mornings, found that lettuce wraps left me wanting a little something more, and I didn't always have enough leftovers to bring for lunch the next day. That's where these turkey avocado wraps come in! 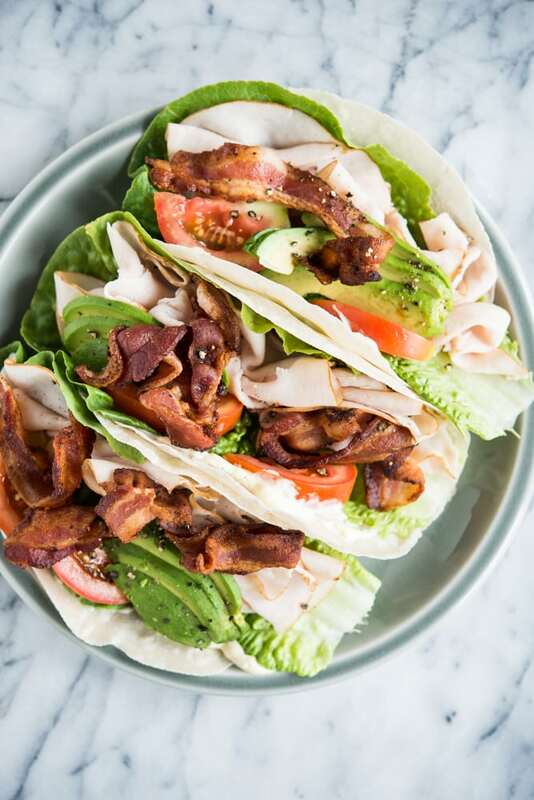 They fill in perfectly for the classic sandwich, but up the flavor game with avocado and bacon and are mindfully prepared with better-for-you ingredients. Siete foods Cassava & Coconut Tortillas for the wrap. We LOVE these tortillas because they're pliable, hold together well, and are grain and gluten free! 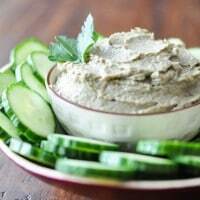 Primal Kitchen Foods Avocado Oil Mayo. Most mayo is made with highly-processed oils like canola or soybean oil, then filled with artificial binders and sugar. We love this mayo from Primal Kitchen Foods because it uses avocado oil and is free from sugar and artificial fillers! 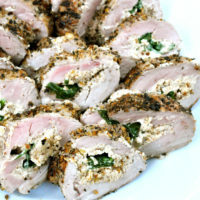 Applegate Farms Organic Turkey Breast. We like this lunch meat because it is nitrite and nitrate-free, gluten and dairy free, and free of added gums and sugar. As a bonus it is easy to find at your local grocer! Another option would be to check if your deli makes any of their lunch meats in-house, or you could try your hand at making your own! Jones Dairy Farm Uncured Bacon. We love Jones bacon because it is sugar free, made without artificial ingredients, and contains no added nitrates or nitrites. Now that you know what to put in your turkey avocado wraps, the next step is to simply assemble them! From there, you can either put them in a tupperware or wrap in parchment paper to take to work for lunch. We hope you enjoy them as much as we do! 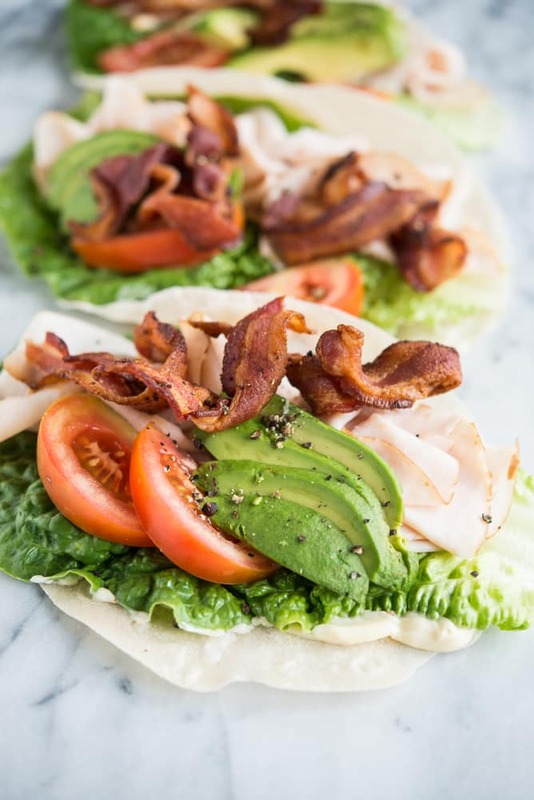 These turkey avocado wraps make for the perfect gluten and grain-free lunch on the go! Warm your tortilla or wrap according to package instructions, then place the lettuce on the wrap, smear the mayo on the lettuce (if you're making these to eat later this will keep the tortilla from getting soggy and breaking), then top with the turkey, bacon, avocado, tomato, and season with black pepper. Either eat immediately or refrigerate to eat later! 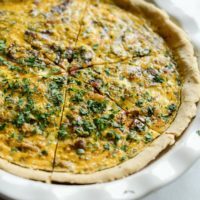 Easy recipes are my favorite recipes! This is a good one to have when I don’t have a lot of time to make something. thank you!